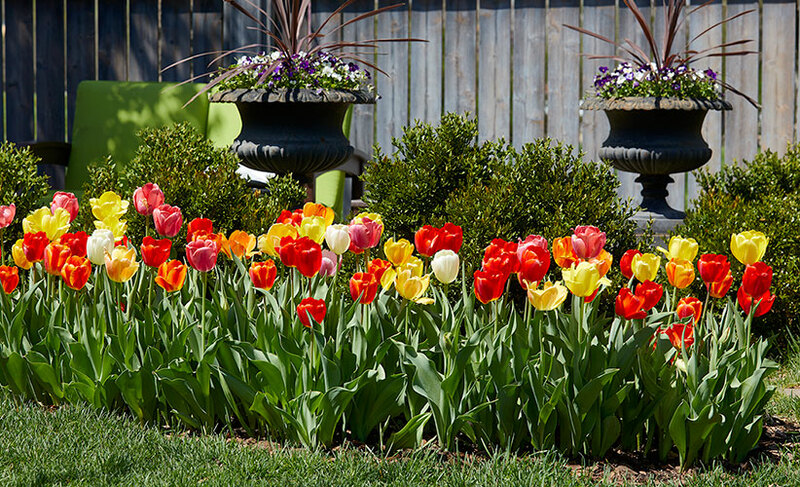 Learn the secret to growing tulips that last longer than just a week every year. If you’ve been frustrated by your tulips’ short bloom time, here’s a way to make sure them last longer every year. It all starts in fall. Buy several varieties that bloom at different times. Look for early mid- and late-blooming varieties and buy a bag of each. Mix them all together in your wheelbarrow and then plant them all together. 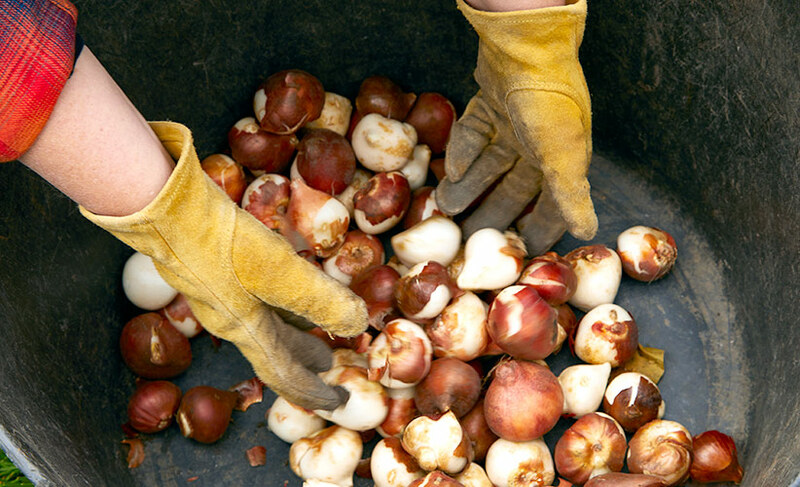 We planted 300 tulip bulbs in two garden beds at our test garden that are 2 ½× 5 and by 2 ½× 7 ft. The next spring, you’ll have different tulips blooming at different times. As the flowers start to fade, either cut off those stems or simply pull out the bulbs, leaving the later ones to show off. See exactly how to do this (and the results!) in the video above. Which hanging basket liner is best for you? Try these watering tips to keep your hanging basket (and other plants) looking great! Why is your perennial growing on the outside but not in the center? It probably needs to be divided. Follow our simple steps for a healthier plant.